Whether or not you’ve just bought a new car, if you’d like to funk it up and make it personal to you, then why not consider customising it? 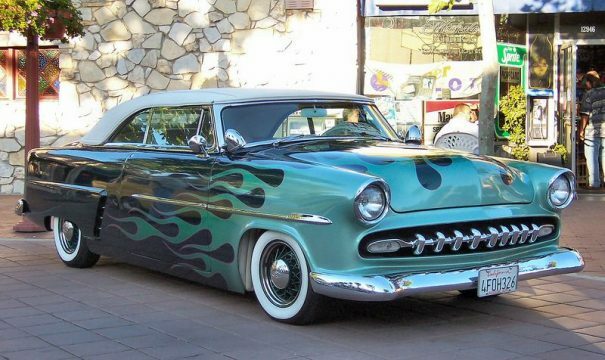 There are tons of different modifications that you can make in order to turn your vehicle from boring to hot! First, you need to think about the kind of look you are trying to achieve. What is your vehicle for? Do you use it for business, or is it all pleasure? How do you want to show off your personality? Are you more interested in the exterior for the whole world to see, or the interior for more of an intimate satisfaction? Here are a few examples of options you have. If you’d like to make your car look unique from all the others, a great way to do this is by the wheels that go on your car. Essentially, as long as you have the right size to fit your vehicle, you can have whatever you want. You can add a spinner or floater to catch everyone’s eye, chrome to shine brightly as you move, or even your own custom colour to create a pop that brings out your cars once subtle two tones. Companies like https;//www.primoregistrations.co.uk offer you great deals on plates, but they also allow you to customise your own. All you have to do is type in the word or name that you want to use, and you will find many different variations of how it can be created with letters and numbers. You can order the whole thing online and have it arrive right on your doorstep. There are different rules depending on where you live about the kind of tint you have, but most places allow two different strengths, from a subtle tint that works to colour the glass slightly, or a bit stronger that gives the same effect as what wearing sunglasses does. This not only prevents your car from overheating, but it also gives you a little bit more privacy. You may want to opt for a warm light that has a golden tinge to it, or you may prefer and clean white light with accents of blue. On some cars, you can even change the form ever so slightly, depending on the model you drive and whether you focus on the front or the back. You can also have a neon glow from underneath your car which a lot of modified race cars have. You can pick from an array of different colours depending on the mood you’re in. You can see examples of this on https://www.pinterest.co.uk. There are many options for the kind of material you can have on your car seats. What you go with all depends on the look and feel you are going for, as well as the level of comfort you want. You have the choice of polyester, nylon, vinyl, and leather, as well as various faux materials too. Now you have a few ideas on how to customise your car, you can start planning your dream ride in true style.